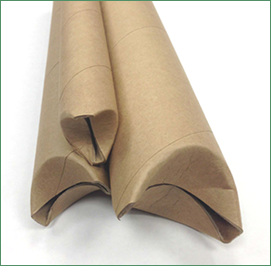 Chicago Mailing tube produces a 2.5" x 18" self-locking cardboard kraft mailing tube perfect for your business shipping needs. Whether you're trying to ship large amounts of wholesale products, or need a measurement specific shipping tube, Chicago Mailing Tube has got you covered. Our affordable mailing supplies can be made to any measurement, perfect for shipping paper, plastic, posters, blue prints, textiles, and more. Chicago Mailing Tube provides the highest quality self-locking crimped-ended kraft tubes at afforadable prices. With a tightly controlled manufacturing plant, our experts manufacture mailing tubes with quick, cost-efficient turnaround. Chicago Mailing Tube uses the best machinery and technology to customize shipping tubes to meet your exact specifications. Our state of the art production will guarantee that your shipping tube is tailored to your exact specifications. No minimum order is required and 24 hour shipping is available!